Place one waffle, flat side up on your work surface. 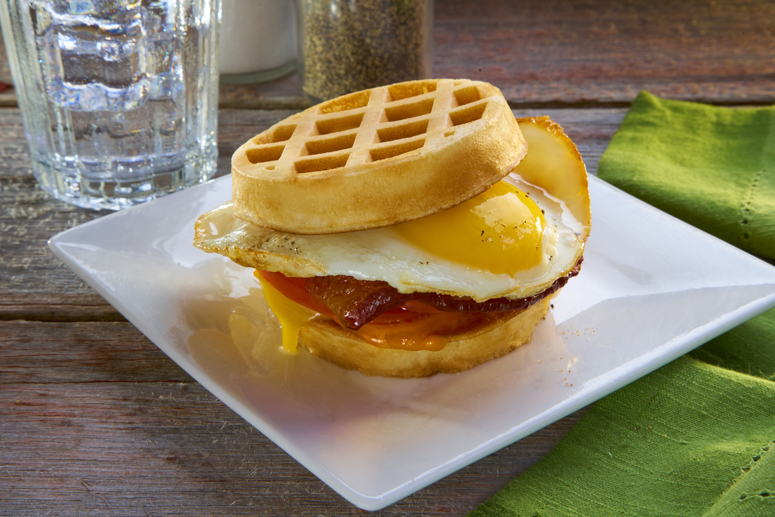 Add one slice of American cheese on top of each waffle. Place waffles on griddle, cheese side up, and cook until waffles are toasted, and cheese has melted. Remove from griddle. 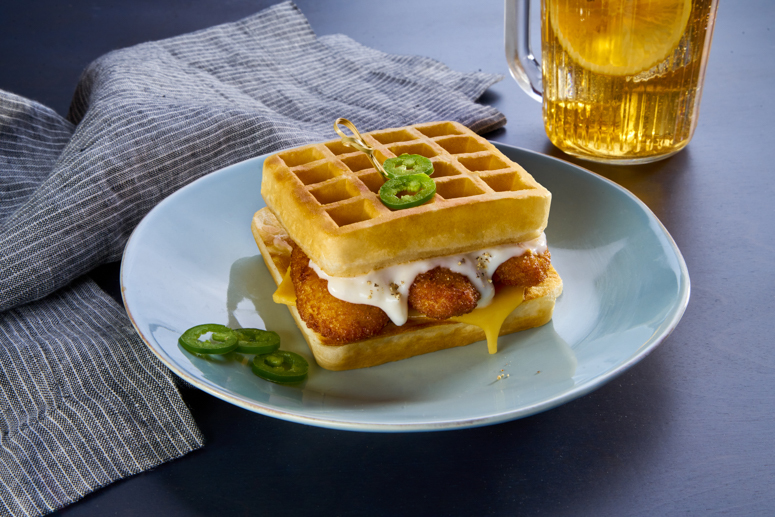 Top one waffle with chicken tenders, country gravy, and jalapenos. 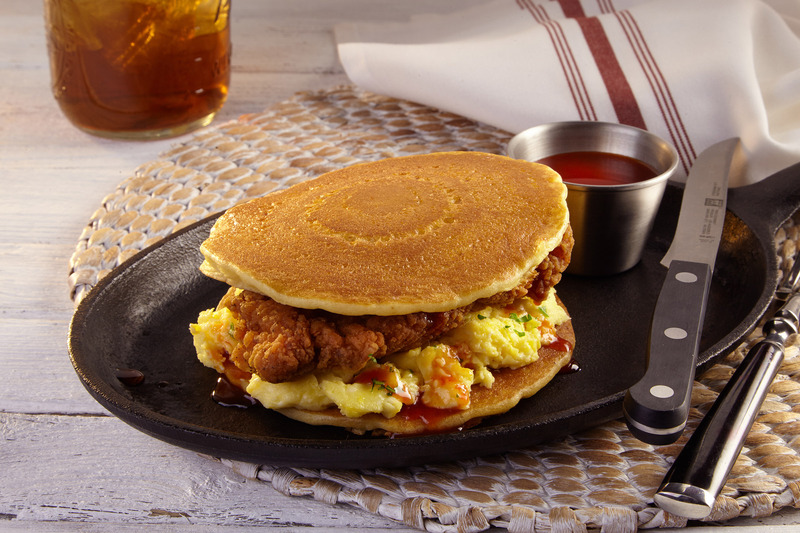 Place other waffle, cheese side down, on top of the stack.